Are you interested in improving your flexibility, balance, and strength? Are you looking to gain that extra edge in or supplement your athletic practice? Have you always been curious about yoga but never had the opportunity to try a class? If yes is your answer to any of the previous questions, then Flex Yoga is the class for you. Based upon Hatha Yoga principles, Flex Yoga emphasizes the harmonious integration of body, breath, and mind through postures (asanas), controlled breathing (pranayama), and mental focus to develop awareness and proper body alignment. 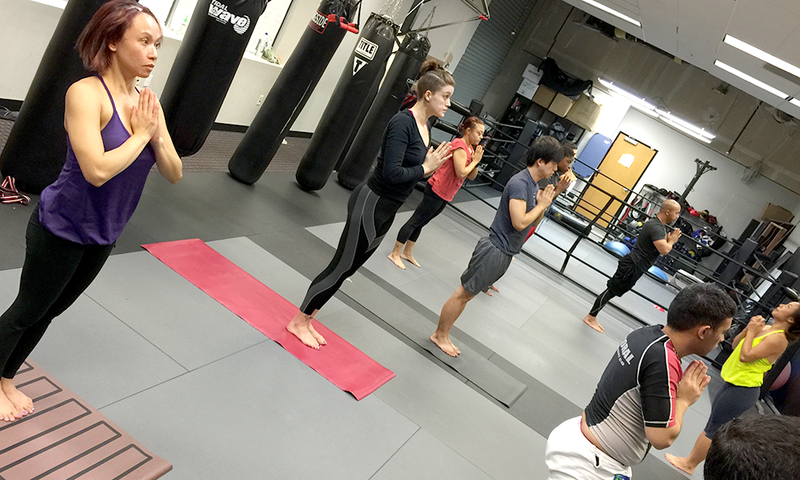 Flex Yoga can help improve strength, flexibility, concentration, and energy. With consistent practice, Flex Yoga can help foster a deeper sense of well-being and balance to its practitioners and is appropriate for all levels of yoga students. Flex Yoga- flex your body, flex your mind, and improve yourself. Try a class out today! FREE TRIAL!